PLDT joins the 2017 Panagbenga Festival in Baguio City and adds color to the festivities. 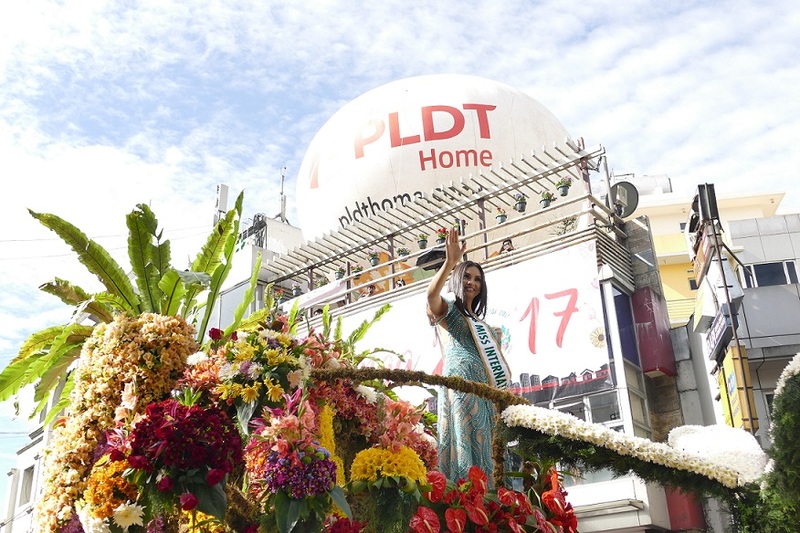 Leading telco and digital services provider PLDT celebrates the beautiful blooms of Baguio as it takes part in the 2017 Panagbenga Festival. Drawing loud cheers from the crowd, the Panagbenga Festival highlights include the Grand Street and Grand Float Parades held last February 25-26 at the Baguio Athletic Bowl and Melvin Jones Football Grounds, respectively. Various schools also participated in the street dancing. As one of the festival’s sponsors, PLDT has truly made its presence felt throughout the event. Making the event more vibrant, PLDT HOME showcased the new Home Fibr Plan 1699 with an exclusive Panagbenga Offer at the Baguio Athletic Bowl and Ganza parking area during the Exhibitors’ Day and Handog ng Panagbenga sa Pamilya Baguio event. Located at the PLDT Sales and Service Center in Baguio Session Road, the experiential Home Fibr lounge set-up also highlighted the different SmartHome Security Devices. The product enables parents to watch over their loved ones at home, online and on the go, allowing everyone to get added Peace of Mind at Home with Fibr. “We strive to create stronger connections by providing greater and faster internet speed to enrich the Panagbenga experience,” said PLDT Baguio Customer Service Operations Zone Head John Marasigan. Showing its solidarity with the Panagbenga festivities, the PLDT Baguio office was beautifully landscaped and surrounded by various flowering plants. PLDT also hosted breakfast for its Baguio employees, in support of the Local Government Unit‘s Session Road in Bloom event. “The culture exhibited in the Panagbenga festival is one that truly transcends time. It is always a privilege to be a part of this wonderful event,” said PLDT Community Relations Head and Consultant Evelyn M. Del Rosario.